If you’re like me, you love Harry Potter merchandise. 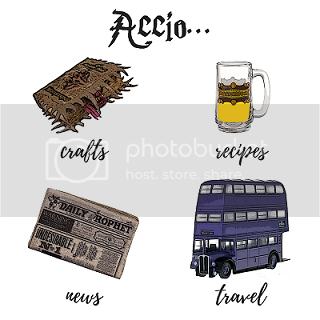 From notebooks and wand pens to socks and purses, you’ll give all your Galleons for anything that is related to Harry Potter. Especially to one of the coolest merchandise items out there, J.K. Rowling’s Wizarding World Lootcrate Box. My friend Ryan, host of a CONversation podcast, and I opened up this month’s Lootcrate box to give you all a sneak peek of what these boxes are like! You can watch that video below (and you totally should – we are giving away a box and you can find out how to win it in the video)! The house tie was of excellent quality! I was ragging on it a bit in the video because the company used a raven instead of an eagle, but really I would rock this tie. It looks nice enough to be worn with robes at Universal Studios or when cosplaying your favorite character. I am in love with this item!! The tapestry/scarf is huge, you could easily fill a wall with it and the material is even light enough to wear as a scarf. You can read all of the names of the Black family, and even see who got burned off the tapestry. This pin is amazing, especially if you’re a pin collector! The level of detail on the pin was jaw-dropping, and it was cool that the company even added the inscription “Wit Beyond Measure is Man’s Greatest Treasure” onto the pin. If you were ever curious about why characters were given the wand they were, or were interested in the tiny details of each wand, this is the book for you. Including in the book are around 100 different character wands. My favorite part is the index in the back with the lengths of each wand! Unboxing Video & Giveaway Details! I am in Gryffindor House and I want to win.